You have seen countless Hollywood movies, documentaries of the oceans, seen your friends diving photos on Facebook or Instagram or want a challenge and see what awaits you in the underwater world? Then the Open Water Course is for you. The most popular diving certification is for the Open Water Course. Our cost includes all equipment rental, a digital certification sent straight to your phone, a digital manual accessible from your phone, free diving insurance from Dive Assure during your training, a free app for recording your training and logging your dives and if you book in advance a free taxi from the pier. 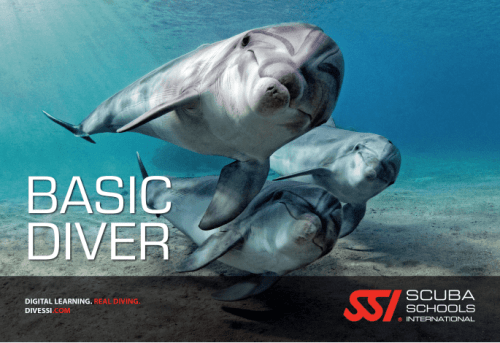 The open water course is divided into academic sessions for the theory, shallow water training sessions where we practice the skills required for diving and 4 open water dives in the ocean and after completion you will certified to dive to 18m! The first 2 open water dives are to a maximum depth of 12m but to begin with we are normally shallow than this, once you feel comfortable underwater we can go a little bit deeper and start to explore. Dives 3 and 4 are to maximum depth of 18m and we dive deeper and further than before, you will be amazed. At all times your instructor will be with you to keep you safe, and you practice some of the skills you did earlier in the shallow water training and find all the cool stuff under the sea. We can also include accommodation at our partner resort or hostel, prices start from 350b per night, please ask about the room types and prices. Open Water dives 3 and 4 from 6am to 11am, certification and logbooks and advice for your future diving adventures. You can book in advance by paying a deposit to secure your course or diving and our taxi will collect you for free from the pier and bring you to our shop to complete the registration process. You will receive a confirmation email within 24 hours by our staff where we will ask you to confirm your arrival time and date and ferry company name. Do not worry if you have not booked a ferry yet but please note we need 24 hours notice to arrange our taxi to collect you from pier to avoid any delays in meeting you. By sending this request and payment you are submitting a reservation for your diving courses. Be ensure that you have read and understood our terms and conditions. Please ensure that you read the medical form and if you have to answer yes to any questions you will require sign off by a diving doctor. While this is available on Koh Tao some pre-existing conditions may require sign off by your doctor or specialist, if in doubt please ensure the medical questionnaire is completed before leaving your home country. Some medical conditions are not suitable for diving and may preclude you from diving. 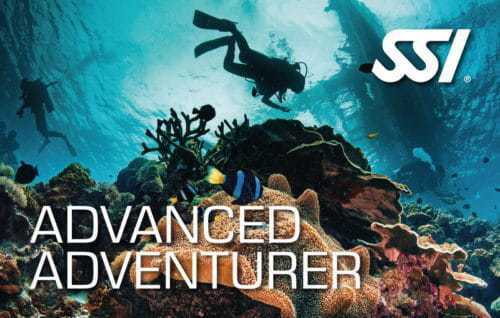 Do you want to know more about a Koh Tao diving course? Or do you want to read more about us as Koh Tao diving school? Feel free to contact us.